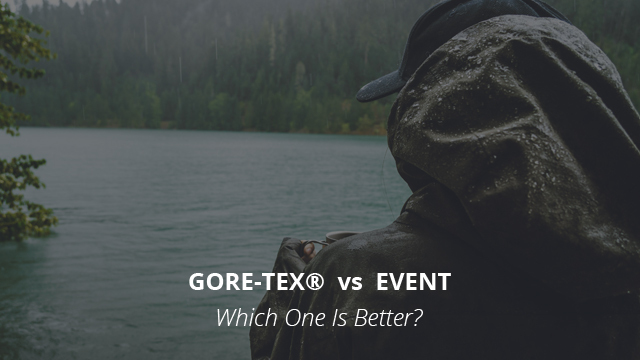 Gore-Tex vs eVent Technology: Which One Is Better? The comparison between fabric technologies continues over here on our site. In the previous comparison we looked at Omni-Tech by Columbia and Gore-Tex, whereas this time we will be comparing Gore-Tex to eVent. eVent was featured in one of our past selections on Gore-Tex alternatives and it is considered by many people to be the closest thing to Gore-Tex in terms of performance. For this reason, we will be taking a more detailed look at the matter of which one of these two fabric technologies is the better one and see how they measure up to each other. eVent, as a brand name, was launched in 1999 and quickly grew to become one of the biggest and most well known alternatives for Gore-Tex technologies. As a fabric technology, it comes in a variety of different layers and designs, the reason for it being its versatile use. These fabrics are not solely used for jackets, but other garments, too, including shoes as well. It is a fully waterproof and windproof membrane, which is bonded together with other fabrics to create several different fabric technologies, all of which differ in terms of breathability. 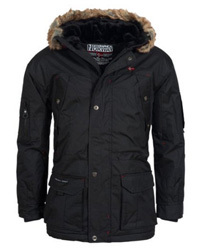 Because of this, depending on the fabric it is bonded with, your jacket can be either rugged or lightweight. The rugged ones are a lot more durable to wear and tear, and especially to abrasions from the environment, but they are considerably heavier than a Gore-Tex jacket, so look out for that. The material of eVent fabrics is ePTFE, a microporous material, which is capable of allowing moisture wicking and prevents water droplets from getting through. As we will see below, Gore-Tex is made of the same material and shows similarities in terms of being waterproof and very durable. What’s special about eVent fabrics is the use of a dry system, which makes it possible for moisture to get out in an instant, without it requiring excessive body heat or outside moisture, such as in the case of PU fabrics. This is called DirectVenting™, and it is a unique design of the brand. It is the main reason why eVent is often a preferred option as the fabric is incredibly breathable and the risk of overheating and sweating is greatly minimized. It is a very important ability of eVent fabrics, as it keeps a near-perfect balance of temperature, without leaving you excessively hot and clammy, nor causing you to feel cold from being drenched in sweat. We will see how this special way of moisture wicking compares to Gore-Tex’s breathability in a minute. a technology since it can be used for different purposes and fulfills different requirements. It was created nearly a decade after the brand was established in 1959, and it is still the leading fabric technology when it comes to outdoor sports wear. Apart from being waterproof and with a low water adsorption rate, it is also extremely durable, which is always a plus considering that you will be out in nature. The fabric is also water-repellent, due to the DWR treatment, which coats the fabric and makes it repel water droplets by causing them to roll off rather than pool on top of the fabric. Before the numbers come up, let us first get the technicalities out of the way by first understanding what it means for a fabric to be waterproof. The waterproof rating of a fabric refers to its water column, which, in turn, refers to the water pressure that a fabric can withstand before it starts to leak through. The water column is measured in millimeters and any number below 1.500mm is considered water-resistant. From 10.000mm and up, the fabric is considered highly waterproof, and that is usually the minimal rating of waterproof membranes. eVent‘s waterproof rating starts at 30.000mm, whereas Gore-Tex‘s starts at around 28.000mm, so we are talking two incredibly waterproof fabrics, which perform similarly in this regard. 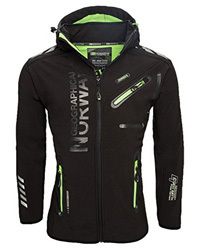 When considering jackets, however, you must look at the design and seams, because the water column measurement is just an indication for the fabric’s ability to withstand rain and snow, but not of the jacket’s itself. Opt for sealed or taped seams, preferably fully rather than just the critical parts, as stitched seams will let water through eventually, defeating the purpose of a waterproof fabric. In terms of breathability, moisture wicking is in fact what we are looking at, rather than a fabric’s air flow permeability. 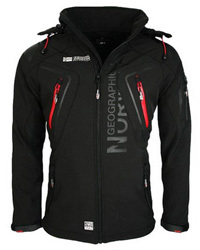 eVent has a breathability rating of 15.000 – 25.000 g/m2/24h and Gore-Tex‘s measurements are the same. However, while it may look as if they will perform identically and that both are equally breathable, especially since they are also made of the same material, that’s not the case. eVent, due to the DirectVenting technology, is able to wick moisture the moment it is present, not letting it build up. Because of this, it is the better fabric in regards to breathability. 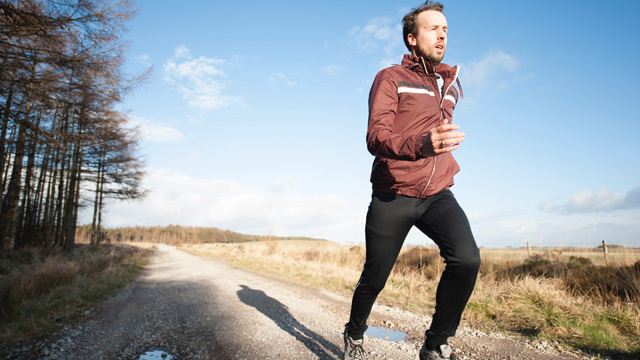 This is especially true for jackets, as Gore-Tex ones, despite being breathable, do tend to slightly overheat with physical exertion, whereas eVent jackets are a lot more capable of preventing overheating and excessive sweating. In regards of how these fabrics wear, it comes down to the garment design, of course, but we will just note that they both fall into the “heavy” category of fabric technologies, so they are not the lightest to wear. But, because those who are considering buying any garment made of either of these fabrics are looking for top-notch performance, the weight is not of major concern. As for durability, they are both made of the same material and very resistant to abrasions, meaning that they will last for a considerable time before anything starts to give, if ever. It’s always difficult to answer this question as it is not a black-and-white case, since the jacket (or any other garment) design will be of major influence in how these fabrics perform. Overall, in terms of breathability, eVent is the better option, especially factoring in that it is cheaper than Gore-Tex. 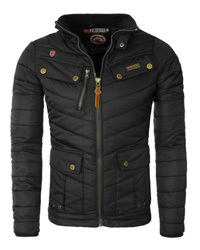 So, if you are looking for a jacket that can keep you cool and dry, then look no further. On the other hand, for long-term durability, nothing outlasts Gore-Tex, especially considering how well-made the products which incorporate this fabric are.